From its Borg connection to appearances in cult classics like The Business it’s no surprise the Fila Terrinda is one of all our time top sellers! Some brands have them and some simply don’t. We’re talking about icons from a golden age of sportswear. Styles that couldn’t be forgotten about if you tried to. With a connection harking back so far their sporting and subculture connection remains just as strong decades later. adidas for example has styles like the Beckenbauer, Sergio Tacchini the Dallas and Fila the Terrinda. Born out of original designs from the then Fila designer Pier Luigi Rolando as part of the legendary BJ line, the most sought after of all was the Terrinda Mk3 which was released in 1982. 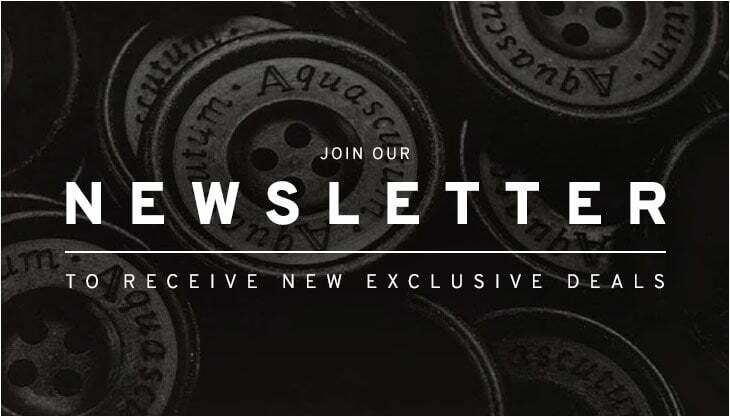 An era of casuals, classic Italian sportswear, tennis nostalgia and a revolution of electronic music. The BJ line, as endorsed and worn by Björn Borg himself, had already given birth to other Fila classics such as the Settanta Mk1 and when the Terrinda Mk3 came along several years later the demand for brightly coloured one of a kind Italian designs was huge. With its hefty price tag the track top became one of the most sought after Fila styles of the era from the casual elite. Above: Charlie (Tamer Hassan) in Nick Love’s The Business from 2005. “What are you doing hanging around in the orange groves”, the words of the mayors main man when they catch Charlie (Tamer Hassan) waiting for a drugs drop in Nick Love’s cult classic, The Business. The scene which sees Tamer wearing the Fila Terrinda Mk3 in navy, alongside all the usual East End gangster accessories, gold aviators, gold Rolex etc. Then there’s Paul Anderson’s character Bex from Nick Love’s The Firm, a role which would land him his lead role in Peaky Blinders, and Dom (Calum McNab) both kitted out head to toe in the full red Terrinda tracksuit. Those who have seen the film will remember the famous lines “You look like a f#ckin post box in that tracksuit”, in reference to the sheer boldness of the Terrinda colourways which were available at the time, especially when worn in full tracksuit form. Above: Playground bully, Bex (Paul Anderson) giving Dom (Calum McNab) a telling off in Nick Love’s The Firm from 2009. The Wham boys were also big casual sportswear wearers with George Michael and Andrew Ridgeley constantly seen wearing the latest Fila styles such as the legendary Terrinda in a variety of different colourways on their live tours, concerts and interviews. Their care free attitude would make them pin up boys for years to come alongside their centre court casual dress sense which really expressed the early 80s attitude of youth and the subcultures that came with it. Casual fashion was more of a lifestyle to some, just like the big sportswear brands were releasing fitness trainers at the same time, healthy living, looking after yourself, big dreams and the mentality that anything was possible which really captured the early 80s era. Above: The Wham Jacket. George Michael (left) and Andrew Ridgeley (right) wearing the Terrinda Mk3. Now back at 80s Casual Classics, the legendary Fila silhouette returns in some OG style colourways of true red, green, navy and electric blue with sizes running all the way from Small to 4XL. The 80s tennis icon features a soft suede like touch with a biker style finish and iconic Fila ‘F’ branding. An absolute must have for any sportswear fanatic, collector and enthusiast. 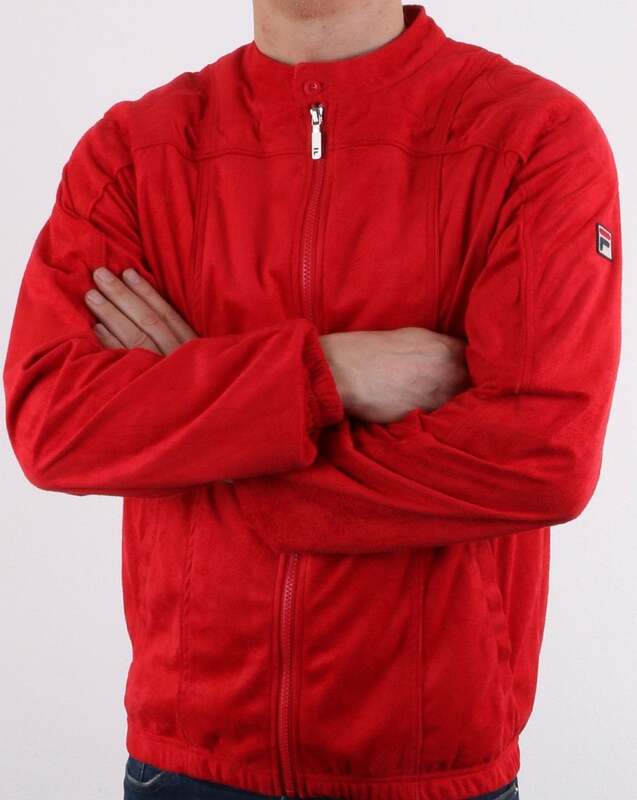 Above: The Fila Terrinda Mk3 track top in true red now available from 80s Casual Classics. 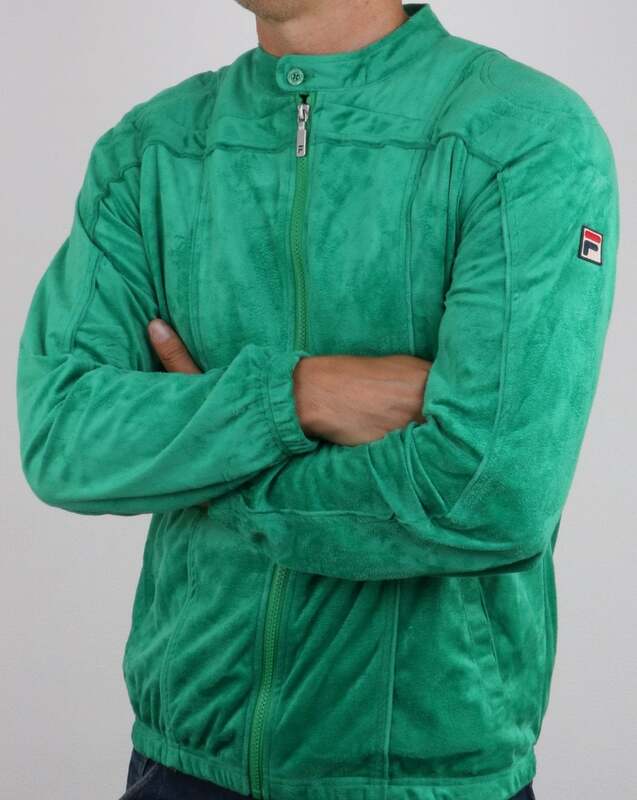 Above: The Fila Terrinda Mk3 track top in green now available from 80s Casual Classics. 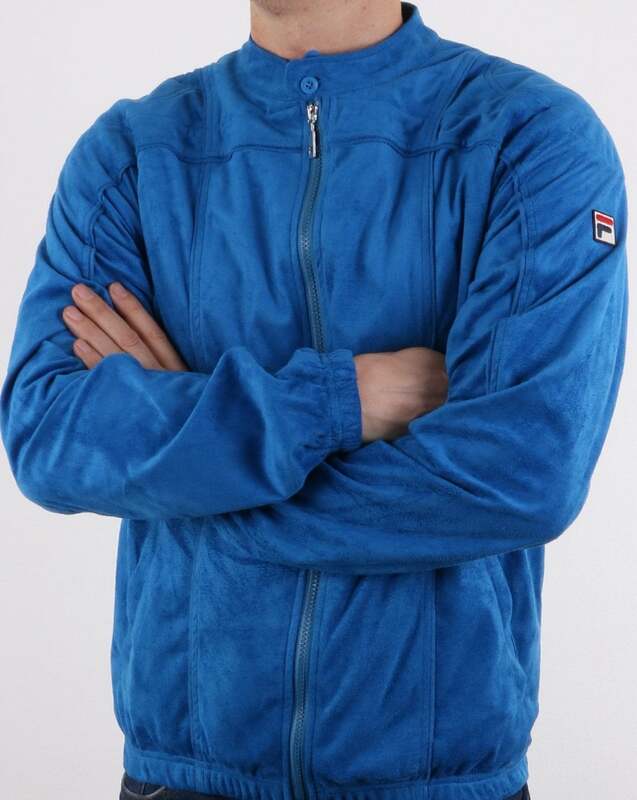 Above: The Fila Terrinda Mk3 track top in electric blue now available from 80s Casual Classics.